On Sale Now! 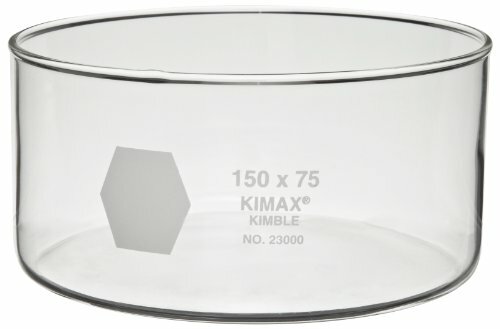 Save 8% on the Kimax 23000-5035 Glass 50mL Crystallizing Dish, 50mm Diameter x 35mm Height (Pack of 6) by Kimax at Dupen Labs. MPN: 23000-5035. Hurry! Limited time offer. Offer valid only while supplies last. These flat 50mm Kimax dishes have approximately a 50mL capacity with rims that are reinforced and fire polished to reduce chipping. Diameter: 50mm. View More In Petri Dishes. These flat 50mm Kimax dishes have approximately a 50mL capacity with rims that are reinforced and fire polished to reduce chipping. Diameter: 50mm. Height: 35mm. 24/Case. Kimble #: 23000-5035. If you have any questions about this product by Kimax, contact us by completing and submitting the form below. If you are looking for a specif part number, please include it with your message.